Over the last week we've seen photos of the dummy units of the 6.1-inch LCD iPhone and iPhone X Plus. Earlier today a new video has been leaked all over the internet provides a detailed hands-on look at both devices. The 36-second long video shows the 6.1-inch LCD iPhone and the 6.5-inch iPhone X Plus, both in white, from all sides. Both units are presumably dummy units since none of the handsets are powered on during the course of the video. This fall, Apple’s expected to launch three new iPhones. 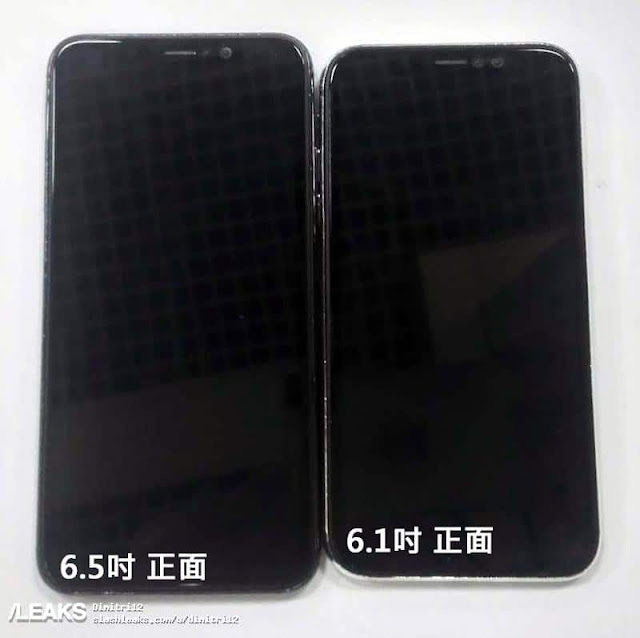 In addition to the two models mentioned above, a second-generation 5.8-inch OLED iPhone X is also planned. The LCD model is expected to launch in multiple colors including gray, white, blue, red, and orange. The 6.5-inch model is supposed to be available in black, white, and gold. Apple’s likely to price the 6.1-inch iPhone at around $700 versus $999 for the new iPhone X Plus. The second-gen iPhone X should be priced at $899. While the 6.1-inch LCD iPhone is going to be cheaper than the iPhone X Plus by a fair margin, both phones are going to feature the same design language. Apple is instead aiming to offer superior build quality, camera performance, and experience on the bigger 6.5-inch iPhone X Plus to distinguish it from the cheaper handset. Are you going to buy the iPhone X Plus it the leaked video and images were true?